William Hood was born in Saginaw Michigan in 1959 and lived most of his childhood in the Detroit area. His dad would begin to transfer his way west and Bill moved to rural Grand Ledge Michigan when he was fourteen and would hunt or fish almost every day of the year with his best friend Dave. Bill graduated from high school in 1978 at Raytown South in Missouri. Shortly thereafter, he moved to Denver, Colorado and graduated from the University of Colorado at Denver in 1983. 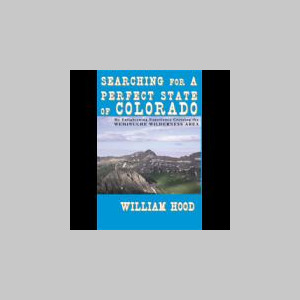 He fell in love his senior year with Robin Holcombe (later to become Robin Hood) as well as the Rocky Mountains of Colorado. Robin and Bill have been married now for nineteen years. After college, Bill entered the technology sales industry and enjoyed a prosperous 15-year career graduating from office manager to distribution manager to General Manager. He also earned his MBA in the Executive Program at the University of Colorado in 1993, working fulltime and going to school on nights and weekends. More importantly, Bill and Robin would have a beautiful child, Rachel Patricia Hood, born on April 12th, 1994. His career would collapse, however, in 2002, as the Internet Bubble burst casting Bill, with millions of others, into the unemployment lines. After almost a year of unemployment, Bill became an agent in Franktown Colorado for Allstate Insurance. He is a volunteer for Douglas County "Adopt-a-Highway", picking up litter on his beloved Castlewood Canyon Road. He also volunteers at Franktown Elementary for Junior Achievement teaching children the basics of business and economics. Since joining Allstate Insurance, Bill became the top agent in his 9-state Region, finishing top ten in the country in 2006. He repeated with top honors in 2007, earning the William Hood Agency the esteem Chairman's award two years in a row. Bill also was nominated by Allstate in 2007 for the Ray Lynch Award, recognizing his commitment toward public service in his community.